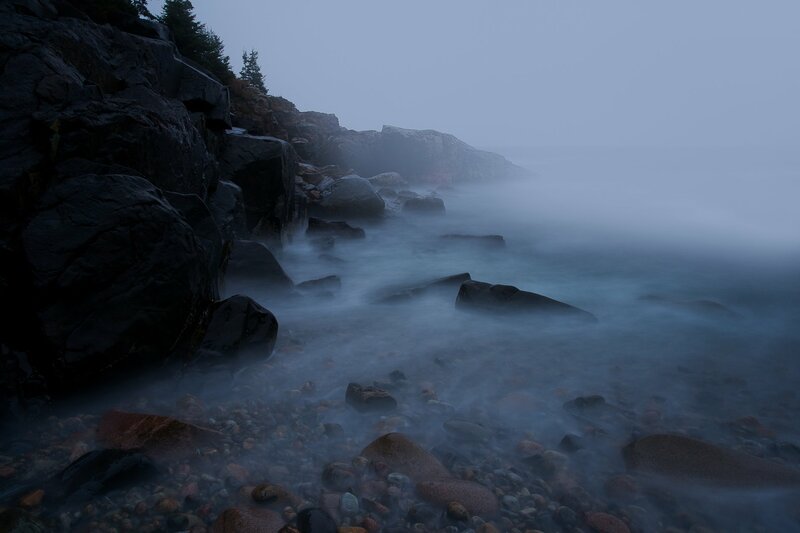 A misty morning rolls over a cobblestone beach in Acadia, Maine. Traditional prints are made on archival quality photo paper using archival pigmented inks. You can choose from lustre paper (an appealing semi-gloss finish) or metallic paper (a high-gloss shine and luminescence). The print will be hand-signed, numbered and dated on verso (on the back).